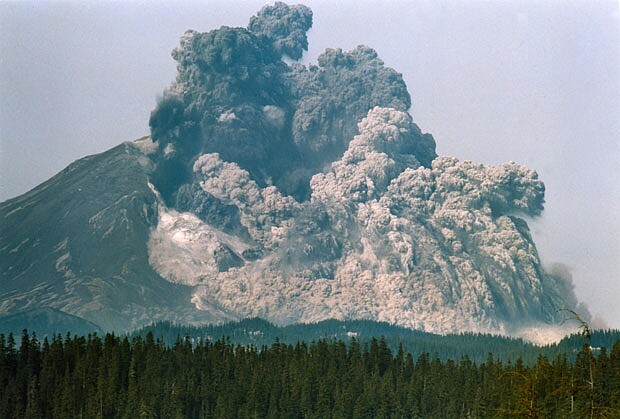 Most people who were alive in 1980, remember the catastrophic eruption of Mount Saint Helens on May 18th, but I wonder how many people…at least people who didn’t live in Washington state at that time…remember the earlier eruption that took place on March 29th. Volcanic eruptions don’t usually bring loss of life these days, because there are so many warning signs. That is what made the 57 lives lost to the Mount Saint Helens blast on May 18th so devastating. The warnings were there. The people were told, but the ones who lost their lives chose to stay in the area anyway, despite the glaring changes in the mountain and the urgent warnings to stay away. We had all heard that there was a distinct possibility that the mountain was going to blow. It was not just the people in Washington who were warned, but all across the nation too. I vividly remember being told what to expect when the mountain blew, because they knew the ash would encircle the entire Earth before it was all said and done. For a week, prior to March 29th, the area had been hit with small earthquakes below the mountain. These earthquakes were an indication that magma had begun to move below the volcano. 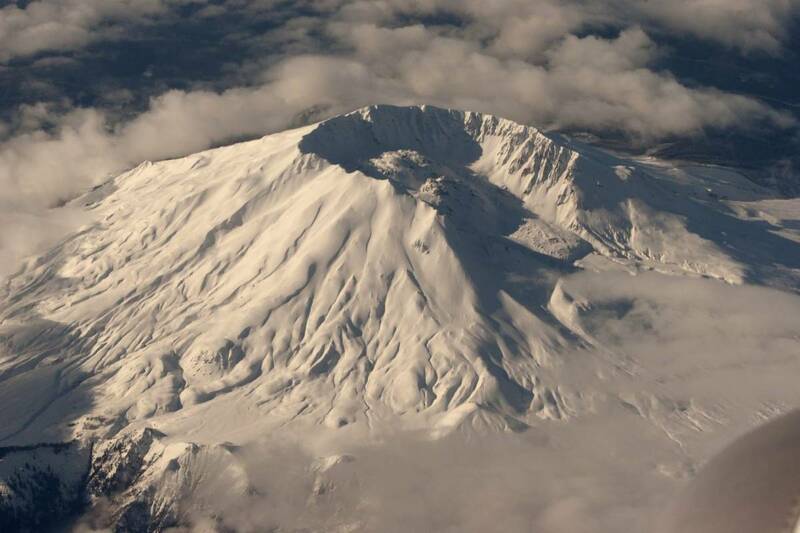 On March 20, at 3:45pm Pacific Standard Time, a shallow magnitude 4.2 earthquake centered below the volcano’s north flank, signaled the volcano’s violent return from 123 years of hibernation. Over the 20th and 21st, 174 earthquakes of 2.6 or greater hit the area. 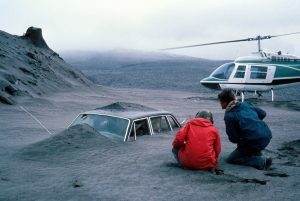 At 12:36pm on March 27th, phreatic eruptions (explosions of steam caused by magma suddenly heating groundwater) ejected and smashed rock from within the old summit crater, opening a new crater 250 feet wide, and sending an ash column about 7,000 feet into the air. 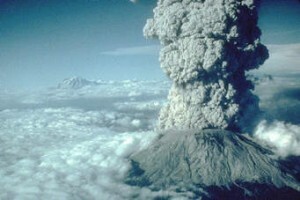 On March 29th, an eruption of Mount Saint Helens blasted a mushroom cloud over most of the state of Washington. Then on May 18, 1980, came the catastrophic blast that took the lives of those who had stayed, even with the many warning signs, and public warnings. I understand the rights of people to make their own decisions concerning their safety, but when warnings are given, the choices people make need to be taken into account before allowing any lawsuits to take place. Of course, as with any kind of disaster, people want someone to blame for the pain they are feeling over the loss of their loved ones. In this case it appears that the safe zone might have been miscalculated, but it is my belief that we are also responsible for our own safety. I remember thinking that I didn’t want to be anywhere near that mountain in those days. 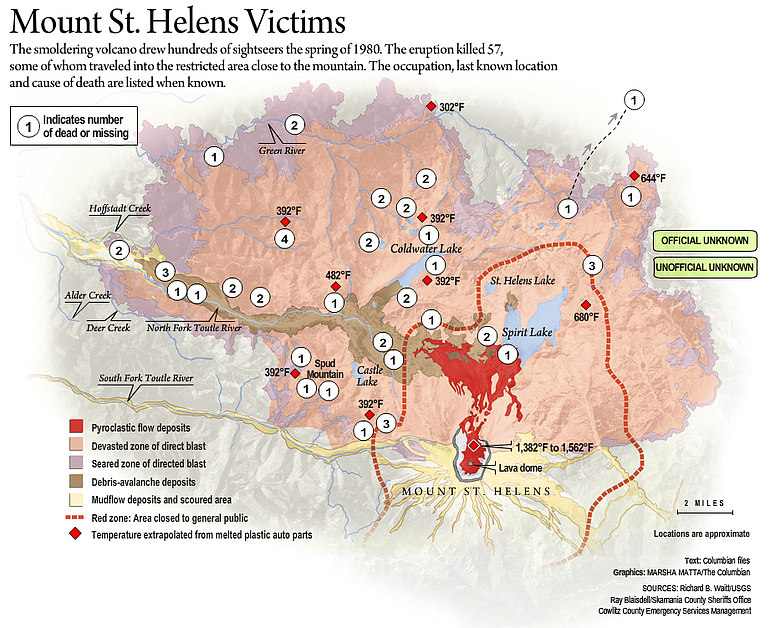 Of the 57 people killed, the Weyerhaeuser Company and representatives of 14 victims of the Mount Saint Helens’ 1980 eruption filed lawsuits. The plaintiffs alleged in a King County Superior Court suit that Weyerhaeuser misrepresented the danger posed by the volcano and misled loggers and others into believing it was safe to be near the peak. Maybe they did, but the trial ended in a hung jury. They could not agree either. To me it seems as if this blast was nothing like the normal eruptions people knew about. In the end, the plaintiffs settled out of court for a reported $225,000, but the forest products company still denies liability. I don’t claim to know whether or not these 14 victims were wronged or if they simply didn’t take their own safety into account when they went too near the action. 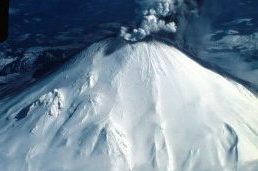 I do know that at the time, it made no sense to me to be anywhere near a mountain that was so filled with pressure that it was bulging. I thought that was a warning in itself. I remember the public warnings about the mountain. It simply made no sense to take the chance. 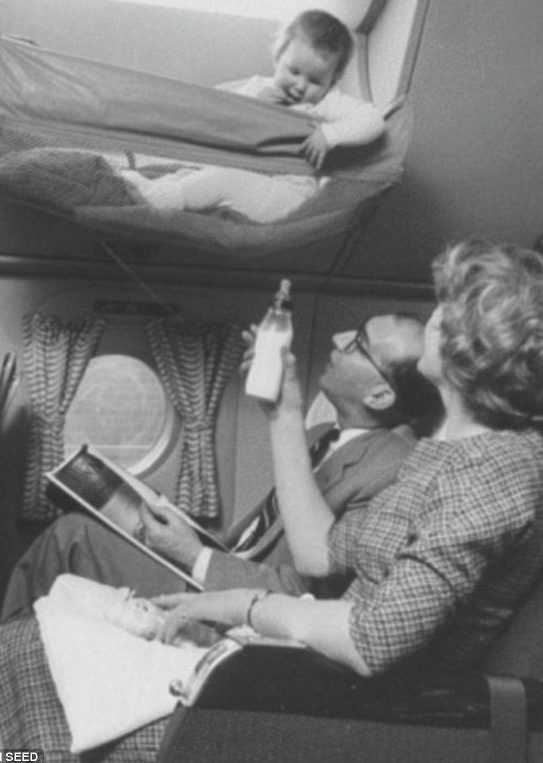 Air travel has changed a lot over the years, especially where babies are concerned. These days babies are placed in car seats just like they are when traveling in cars, but in years past, that was not the case. Of course, the invention of the car seat has saved countless lives in car and air travel. 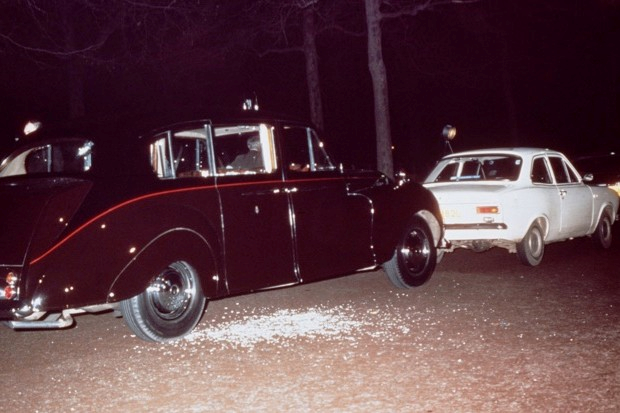 Nevertheless, years ago people didn’t have car seats. In those days babies were often held on their parents laps, but even that wasn’t as odd as the way babies traveled in the mid-1950s. 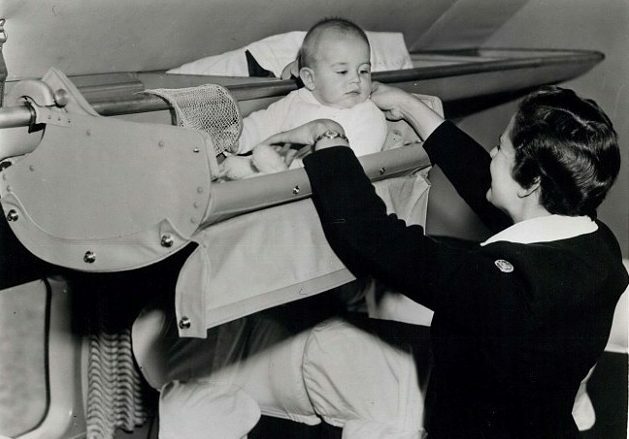 It was thought that babies needed to be able to sleep on the trip, and so the planes had a “cradle” that attached to the baggage area, and the bed folded down. Called skycots, the beds allowed the baby to lay down and maybe sleep through the flight. If you have ever traveled with a baby, you know that if they get fussy because of things like ear pressure from being so high, it is going to be miserable for everyone. Air stewards were actually tasked with attending to the children during the flight. The babies were pretty much in the skycot for the duration of the trip. It was almost like putting your baby in the luggage bin…not something most of us would even consider these days. 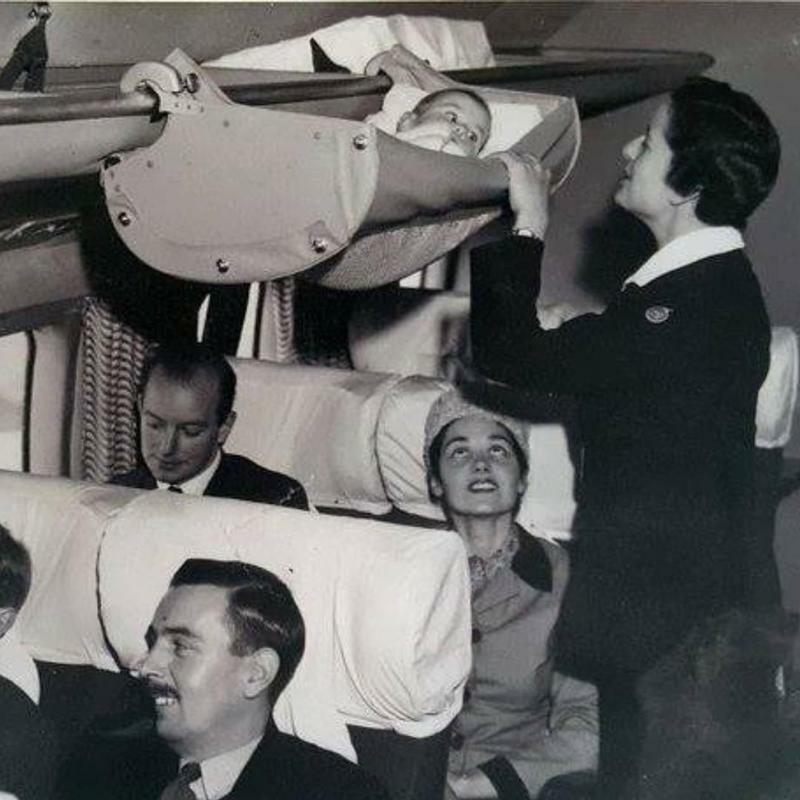 Parents were required to hold their baby during take-off and landing, of course, because the babies were not buckled into the skycots. I don’t suppose they would have liked it if they were, but there really wasn’t a way to do that anyway, so they were just placed in the sky cot like a cradle or crib. To me it also seems an odd way to do things, because what of the baby who could sit up or climb over the side? The whole thing would make the average parent worry, but in those days it was just the way it was…just like having your kids in the car unbuckled…which was completely normal when I was a kid. 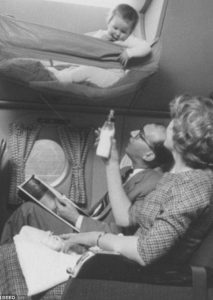 While pictures seemed to show the happy babies relaxing in their sky cot, the reality is that planes in the 50s were noisy, and turbulent. My guess is that the pictures taken before takeoff, were not exactly how the flights went. In addition, many babies are not too keen on the idea of some stranger taking care of them on the plane, especially since they can’t always see their parents. Parents gave their babies a bottle of milk in an effort to appease them and lull them to sleep. I wonder just how well that worked. My niece, Amanda Reed is one of the busiest people I know. She never seems to stop, and sometimes I wonder where she gets all the energy to do all the activities she and her family do. 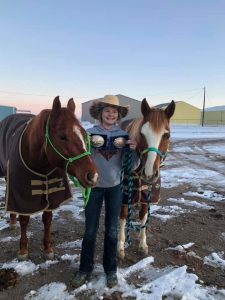 Besides working all day at the Rawlins National Bank, her evenings and weekends are spent with a great group of friends. 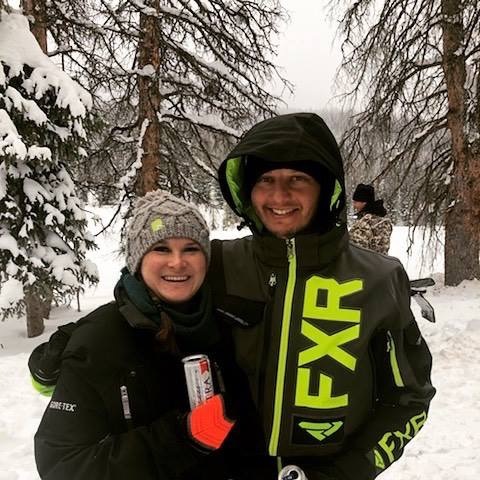 They go every weekend…from skiing in winter, to boating in summer, 4 wheelers, motorcycles, and snowmobiles…they are on the go all the time. Life is definitely not passing them by. They embrace life every day. 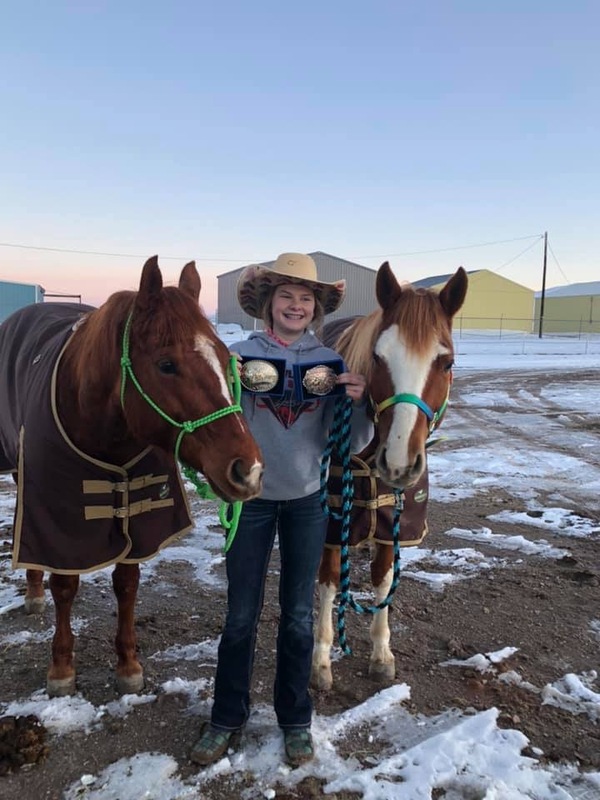 Amanda and her partner, Sean Mortensen are the parents of a beautiful daughter, Jaydn Mortensen, who at 14 is a wonderful equestrian, and has won lots of awards for her abilities. Her parents and grandparents encourage her every step of the way, and attend all of her competitions. In addition to that, Jaydn goes on all the family outings. They never exclude her. I suppose that as she gets older and has a job, that may change, but I don’t think it will be much of a change. Amanda and her family are very dedicated to each other, and they enjoy spending time together, so that will always be a part of their lives. For Amanda and Sean, Jaydn is their whole heart. They couldn’t love her more, if they tried. Amanda and Sean are very happy together, and they are always headed in the same direction. That is one of the keys to a life-long relationship. They enjoy being together, and the like the same things. That brings harmony to a home. Amanda and Sean love to laugh and they do things that make other people laugh too. That makes them fun to be around, and if you ask their friends, you will see that they all agree. Amanda and Sean are very social people and they love to entertain. 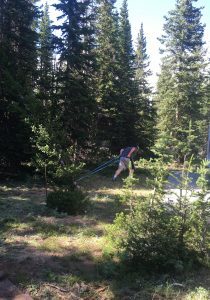 The spend time at the family cabin in all seasons, because there is lots of room for all their activities. I’ve never met a more active bunch. Today is Amanda’s birthday. Happy birthday Amanda!! Have a great day!! We love you!! 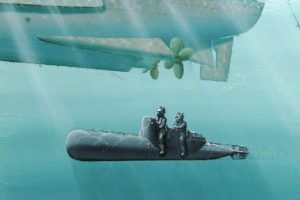 One of the weapons of naval warfare that all of us know about is the torpedo. Beginning in the 1870’s, torpedoes were rapidly introduced into the navies of many states and soon became the primary weapon of destroyers, submarines, and torpedo boats, cruisers, and ships of the line of that period were also armed with torpedoes. Torpedoes were first used by Russian vessels in the Russo-Turkish War of 1877–78. So torpedoes weren’t new on March 26, 1941, when Italy attacked the British fleet at Souda Bay, Crete, using these new detachable warheads. These torpedoes were different however, and I can only imagine how the men on the deck of the British cruiser must have felt as they watched the streaking torpedo coming toward them. The difference between the torpedoes of old, and these new torpedoes, was that these were manned torpedoes. No, there weren’t men on the torpedo known as the Chariot.” Nevertheless it was unique. Primarily used to attack enemy ships still in harbor, the Chariots needed “pilots” to “drive” them to their targets…basically a guided missile system…but in a very primitive form. Sitting astride the torpedo on a vehicle that would transport them both, the pilot would guide the missile as close to the target as possible, then ride the vehicle back, usually to a submarine. The Chariot was an enormous advantage, because before its development, the closest weapon to the Chariot was the Japanese Kaiten–a human torpedo, or suicide bomb, which had obvious drawbacks. I can’t imagine being ordered to pilot that one, but then the Japanese were known for their suicide attacks. 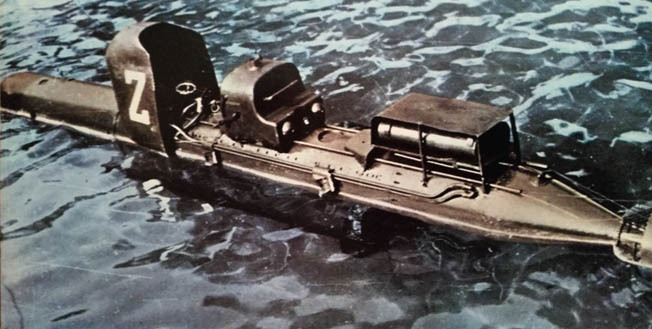 The Italian attack was just the first successful use of the Chariot, or any other manned torpedo, although they referred to their version as Maiali, or “Pigs.” On that March day, six Italian motorboats, commanded by Italian naval commander Lieutenant Luigi Faggioni, entered Souda Bay in Crete and planted their Maiali along a British convoy in harbor there. The British cruiser, York was so badly damaged that it had to be beached. 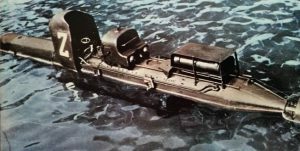 The manned torpedo system proved to be the most effective weapon in the Italian naval arsenal, and it was used successfully against the British again in December 1941 at Alexandria, Egypt. Italian torpedoes sank the British battleships Queen Elizabeth and Valiant, as well as one tanker. They were also used against merchant ships at Gibraltar and elsewhere. Deeply angered, the British avenged themselves against the Italians, by sinking the new Italian cruiser Ulpio Traiano in the port of Palermo, Sicily, in early January 1943. An 8,500-ton ocean liner was also damaged in the same attack. 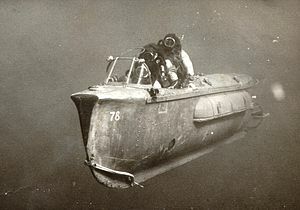 After the Italian surrender, the use of the manned torpedo continued to be used by both the British, and later the Germans. In fact, Germany succeeded in sinking two British minesweepers off Normandy Beach in July 1944, using their “Neger” torpedoes. These would be the best torpedo, until the guidance systems could be invented. 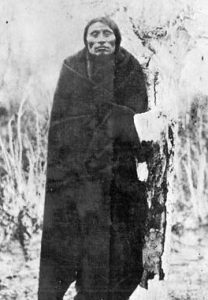 Little Wolf was a Cheyenne Indian who was often called “the greatest of the fighting Cheyenne.” Little Wolf was the chief of an elite Cheyenne military society called the Bowstring Soldiers. Little Wolf had demonstrated a rare form of bravery and a brilliant understanding of battle tactics from a very early age, which led to him becoming a trusted leader. His prowess showed first in conflicts with other Indians like the Kiowa, but even more in disputes with the United States Army, Little Wolf led or assisted in dozens of important Cheyenne victories. While it has not been confirmed, most historians agree that Little Wolf was probably involved in the disastrous Fetterman Massacre of 1866. In that battle, the Cheyenne lured the 80 American soldiers out of the fort in Wyoming, and wiped them out. Cheyenne attacks also forced the United States military to abandon Fort Phil Kearney along the Bozeman Trail, and Little Wolf is believed to have led the war party in torching of the fort. He was also a leading participant in the greatest of the Plains Indian victories, the Battle of the Little Bighorn in 1876. 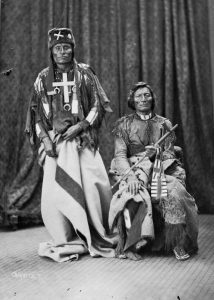 Even with such an impressive list of victories to his credit, Little Wolf, like many of the other Plains Indian warriors, was finally forced to make peace with the White Man. After the horrendous loss at the Battle of the Little Bighorn, the army launched a major offensive. In 1877, the government sent Little Wolf to a reservation in Indian Territory. Little Wolf was disgusted with the conditions and the lack of supplies the Indians were forced to endure. In 1878 Little Wolf made up His mind to leave the reservation. His plan was to head north for the old Cheyenne territory in Wyoming and Montana. Chief Dull Knife and 300 of his followers went with him. Little Wolf and Dull Knife made it clear that their intentions were peaceful, but the settlers in the territory we’re afraid they would attack. So, once again, the government sent cavalry forces that assaulted the Indians. Little Wolf’s skillful defensive maneuvers kept Cheyenne casualties low. When the band neared Fort Robinson, Nebraska, Dull Knife and some of his followers stopped there, but Little Wolf and the rest of the Cheyenne continued to march north to Montana. In the spring of 1879, while still traveling north, Little Wolf and his followers were overtaken by a cavalry force under the leadership of Captain W.P. Clark, who happened to be an old friend of Little Wolf’s. The confrontation could have easily turned violent, but with his force of warriors diminished and his people tired, Little Wolf was reluctant to fight the more powerful American army. 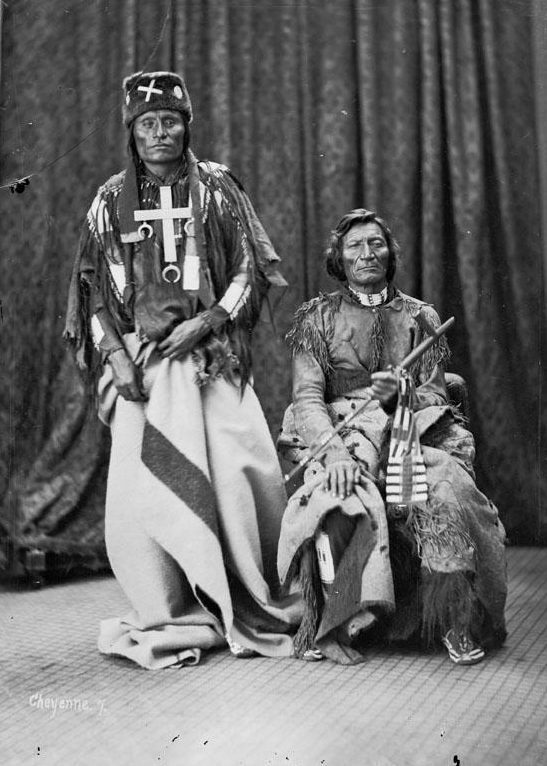 Clark’s civilized and gracious treatment of Little Wolf helped convince the chief that further resistance was pointless, and he agreed to surrender. After returning to the reservation, Little Wolf briefly served as a scout for General Nelson A. Miles. However, during this time he disgraced himself among his people by killing one of his tribesmen. The formerly celebrated Cheyenne warrior lived out the rest of his life on the reservation but had no official influence among his own people. After all of his honorable leadership and years of respect among his peers, Little Wolf was, in the end, taken down by his one dishonorable act. People always remember the things you do wrong, but the things you do right seem to fade quickly away. 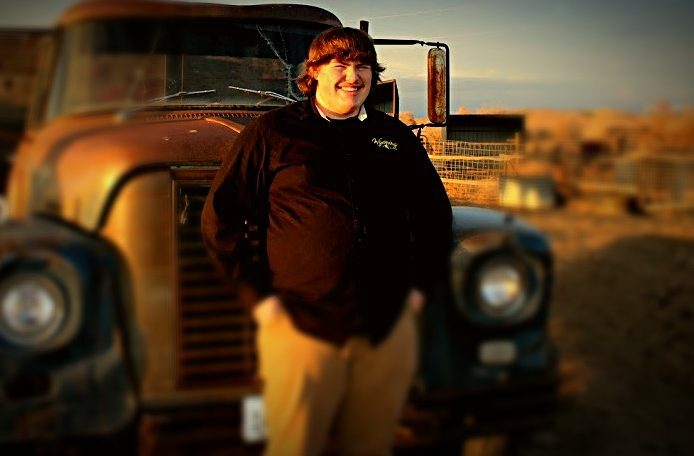 When I think of my grand nephew, Weston Moore, graduation is not usually the thing that comes to mind. Nevertheless, that is the next big step in his life. It seems like just yesterday that my niece, Machelle Moore and her husband Steve became the parents of their first child, and now he is looking forward to college and his future plans. It is at this point in a child’s high school career, that they become very ready to be done with high school. They are grown up now, and high school is just in the way of their future. 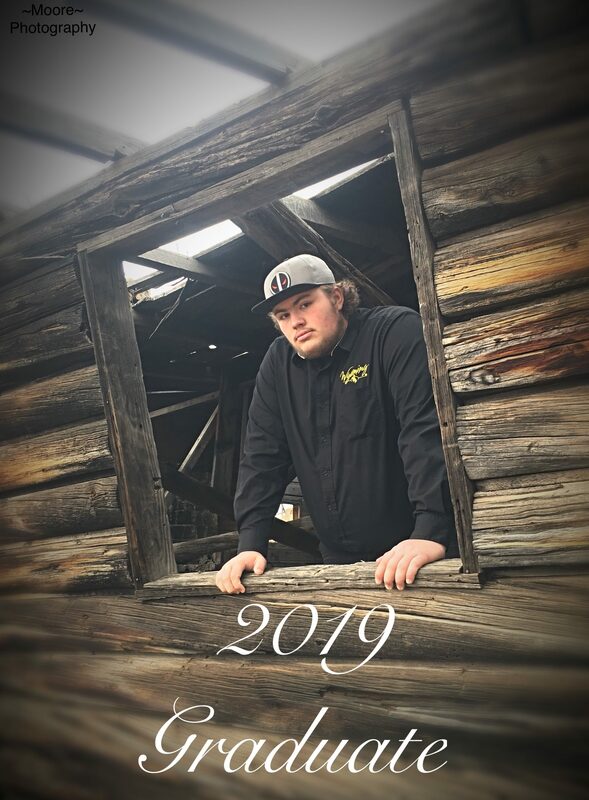 Weston has decided to pursue a career in the Culinary Arts, and so last week he went to Sheridan, Wyoming to check out the culinary school there. He was very impressed and is excitedly considering going there. That is also the school where my grandson, Chris Petersen, Weston’s 2nd cousin studied, so he can give him a feel for the school and such. 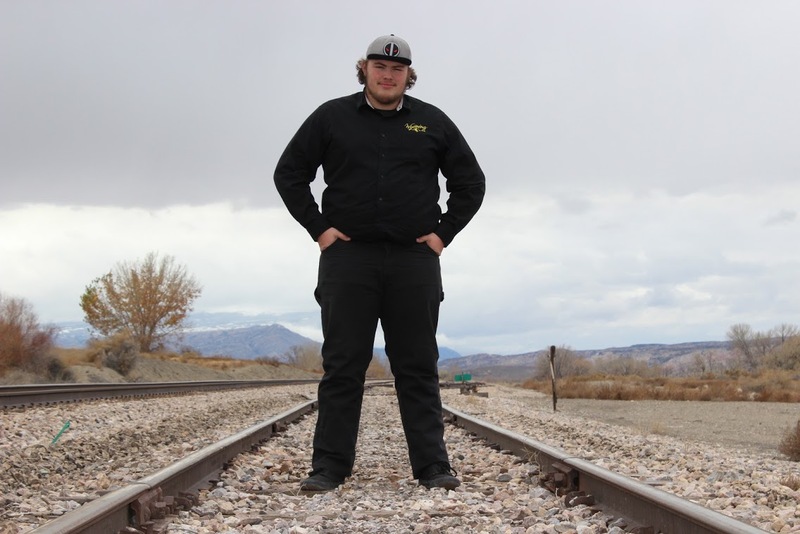 Chris really enjoyed his time there, and learned a lot, so I know Weston will too. Weston likes sports, and is really good at them too. He has played football, as well as other sports, and right now, he is in track. His events are Discus and Shot-put, both of with take a good degree of strength. He did very well in Discus recently for a personal best. He was very happy about that. Weston has not always enjoyed camping, but last summer he went camping with the family a few times. His mom said that he was a big help when it came to moving the big logs. 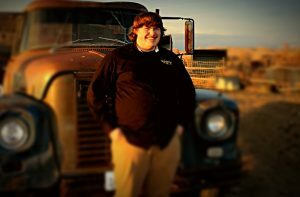 While camping wasn’t always his favorite thing, he also knows that with graduation, it will be harder to do things with his family, so he really wanted to spend come quality time with them. It seemed a bit strange to have him on the trips, but they were sure glad to have that time up there with him and no cell phones to compete with, since there is no cell service in the mountains. While it was strange to have Weston camping with them, it will be even more strange when he moves out of the house and into his own place. There is a big difference between your son being at work and having him away at college. Today is Weston’s birthday. Happy birthday Weston!! Have a great day!! We love you!! I love to hike, but that does not include going to the highest peak I can find. Don’t get me wrong, because I have hiked to the top of some mountains. They just weren’t on the level of Everest or K2. 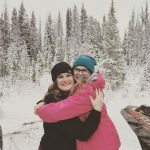 While I love to challenge myself by hiking up some pretty big mountains, I’m just not interested in taking on the ones where the air is so thin that you need oxygen, and the snow never melts. There are, nevertheless, people who feel the challenge to ascend to the highest peaks in the world. They throw caution to the wind, to go where few people have ever gone before. Believe me, I admire their tenacity, but that is simply not a goal I have, or ever will set, for myself. Mount Everest is a very unforgiving mountain. 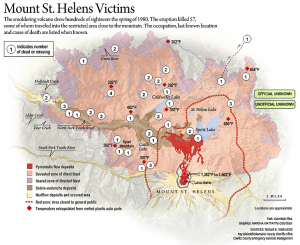 In the years that people have been climbing it, there have been over 200 deaths on it slopes. These were experienced climbers who knew what they were up against, and yet, the elements and the lack of breathable oxygen, beat them in the end. Of those 200+ people who lost their lives to Everest, many are still up on the slopes, right where they fell. They didn’t get off the beaten paths, they just didn’t get back down quickly enough, and now their bodies serve as a grim reminder of the harsh reality that is Everest. 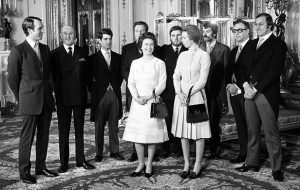 These people might have truly believed that they could make it, and many of them had no idea that they were dying. Severe cold and lack of oxygen will do that to a person. In a gruesome ritual, each new climber who takes the challenge and starts up the mountain, must pass by the unfortunate ones who didn’t make it back down. To me, the bodies would serve as a warning to turn around and go back down, now…to use my head and stay alive, rather than my ambition to succeed at something that, to most of us, seems insane. I know that there are people who would disagree, believing that challenge is worth the risk, and it might be, right up to the point when you realize that you are about to become a statistic of Mount Everest. Of course, by the time you realize that, it is too late. 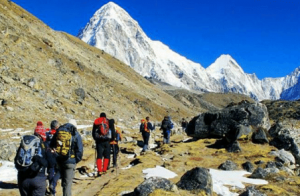 Mount Everest, located some 186 miles north-east of Kathmandu, holds the impressive title of tallest mountain in the world, but many people don’t know about its other, more gruesome title…the world’s largest open-air graveyard. Edmund Hillary and Tenzing Norgay first scaled the summit in 1953. Since then, over 4,000 people have followed in their footsteps, braving the harsh climate and dangerous terrain in the hope of a few moments of glory. Unfortunately, some of them never left the mountain. The top portion of the mountain, roughly everything above 26,000 feet, is known as the “death zone.” In the “death zone” the oxygen levels are only at a third of what they are at sea level, and the barometric pressure causes weight to feel ten times heavier. The combination of those two factors makes climbers feel sluggish, disoriented and fatigued…and can cause extreme stress on organs. 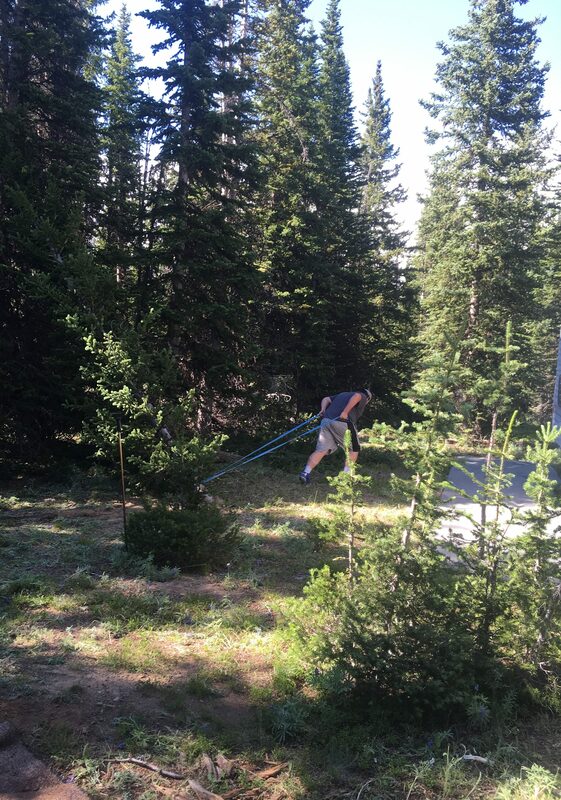 For this reason, climbers don’t usually last more than 48 hours in this area. The climbers that overstay their safety window are usually left with lasting effects. 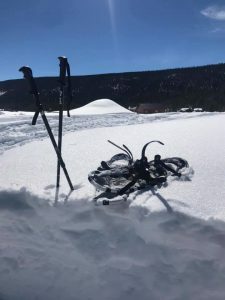 The ones that don’t make it out are left where they fall…it’s standard protocol, unfortunately, and so these corpses remain to spend eternity on the mountaintop, serving as a warning to climbers as well as gruesome mile markers. Each climber who attempts Mount Everest knows the possibilities. 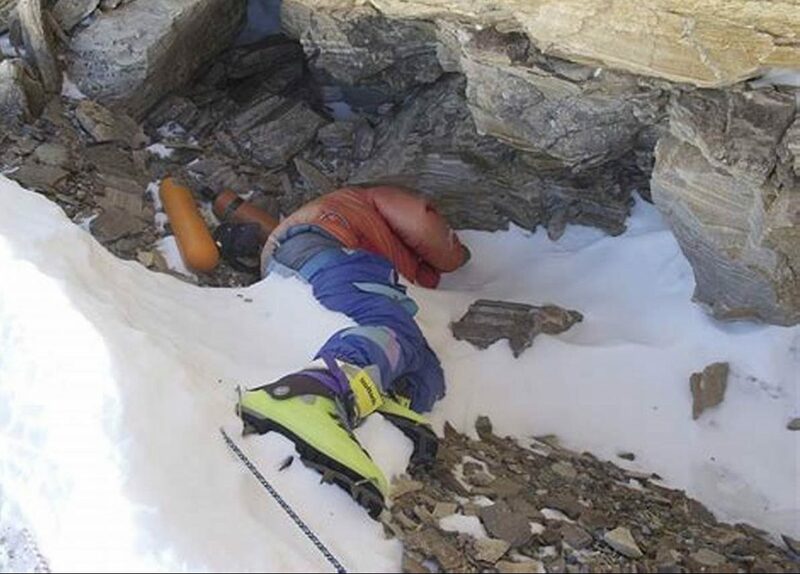 One of the most famous corpses, known as “Green Boots” was passed by almost every climber to reach the death zone. The identity of Green Boots while highly contested, is believed to be Tsewang Paljor, an Indian climber who died in 1996. Before the body’s recent removal, Green Boot’s body rested near a cave that all climbers must pass on their way to the peak. The body became a grim landmark used to gauge how close one is to the summit. He is famous for his green boots. According to one seasoned adventurer “about 80% of people also take a rest at the shelter where Green Boots is, and it’s hard to miss the person lying there.” “Green Boots” is known as such because of the neon boots he was wearing when he died. In 2006 another climber joined in Green Boots in his cave, sitting, arms around his knees in the corner, forever. David Sharp was attempting to summit Everest on his own, which is never advisable. Even the most advanced climbers would warn against it. He had stopped to rest in Green Boots’ cave, as so many had done before him. 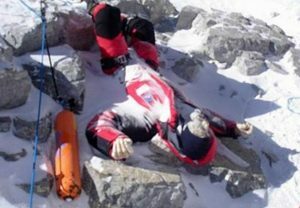 Over the course of several hours, he froze to death, his body stuck in a huddled position, just feet from one of the most famous Mount Everest bodies. Green Boots most likely died unnoticed, due to the small amount of people hiking at that time, but at least 40 people passed by Sharp that day. Incredibly, not one of them stopped. Sharpe’s death sparked a moral debate about the culture of Everest climbers. Though many had passed by Sharp as he lay dying, and their eyewitness accounts claim he was visibly alive and in distress, no one offered their help. How could they even live with themselves after that? Sir Edmund Hillary, the first man to ever summit the mountain, criticized the climbers who had passed by Sharp and attributed it to the mind-numbing desire to reach the top. “If you have someone who is in great need and you are still strong and energetic, then you have a duty, really, to give all you can to get the man down and getting to the summit becomes very secondary,” he told the New Zealand Herald, after news of Sharp’s death broke. “I think the whole attitude towards climbing Mount Everest has become rather horrifying,” he added. “The people just want to get to the top. They don’t give a damn for anybody else who may be in distress and it doesn’t impress me at all that they leave someone lying under a rock to die.” The media termed this phenomenon “summit fever,” and it’s happened more times than most people realize. In 1999, the oldest known body was found on Everest. George Mallory’s body was found 75 years after his 1924 death after an unusually warm spring. Mallory had attempted to be the first person to climb Everest, though he had disappeared before it could be found out if he had achieved his goal. 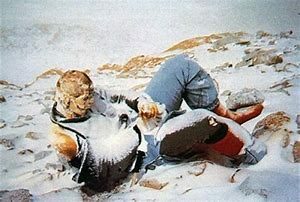 One of the most horrifying sights on Mount Everest is the body of Hannelore Schmatz. In 1979, Schmatz became not only the first German citizen to perish on the mountain but also the first woman. Schmatz had actually reached her goal of summiting the mountain, before ultimately succumbing to exhaustion on the way down. Her Sherpa’s warned her not to set up camp in the “death zone,” but she did anyway. She managed to survive a snowstorm hitting overnight, and made it almost the rest of the way down to camp before a lack of oxygen and frostbite resulted in her giving into exhaustion. This poor woman fell just 330 feet from base camp. That is a devastating loss…so close and yet too far. 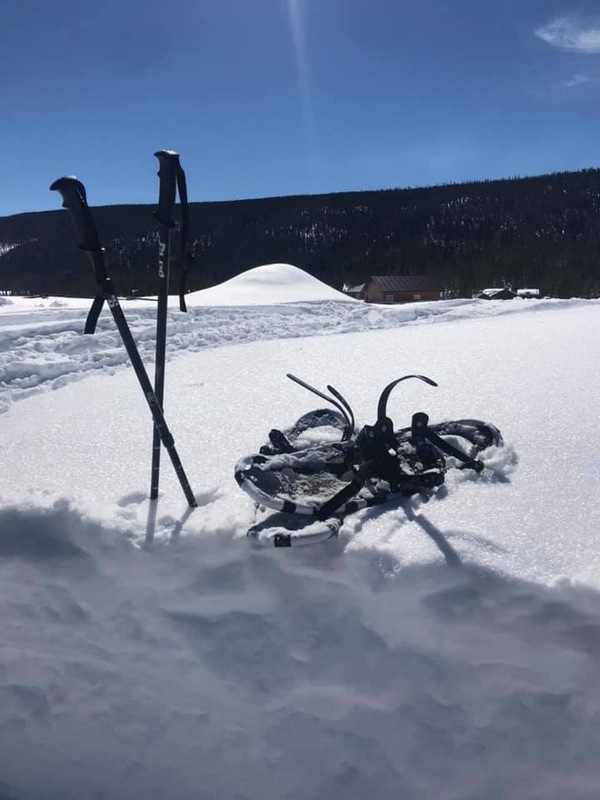 Her body remains on the mountain, extremely well preserved due to the consistently below zero temperatures. For a long time, her body remained in plain view of the mountain’s Southern Route, leaning against a long deteriorated backpack with her eyes open and her hair blowing in the wind. Then, 70-80 mph winds either blew a covering of snow over her or pushed her off the mountain. Her final resting place is currently unknown. It’s due to the same things that kill these climbers that recovery of their bodies can’t take place. To us that seems insane, but when someone dies on Everest, especially in the death zone, it is almost impossible to retrieve the body. The weather conditions, the terrain, and the lack of oxygen makes it difficult to get to the bodies. Even if they can be found, they are usually stuck to the ground, frozen in place. In fact, two rescuers died while trying to recover Schmatz’s body and countless others have perished while trying to reach the rest. Despite those risks, and the bodies they know they will encounter, thousands of people still flock to Everest every year to attempt one of the most impressive, if not insane, feats known to man today. Living in Wyoming, the one thing we can be sure of is that traffic jams are extremely uncommon here. About the only way we are going to have a traffic jam is if there is an accident at what we call rush hour…for lack of a better word. A few hours south of us, you mike find a traffic jam as you travel through Denver, Colorado during a real rush hour. Nevertheless, even traffic jams in Denver almost don’t qualify compared to other places on Earth. I have tried to think of what it might be like to be in a really bad traffic jam. I have been in some that kept me sitting for over an hour, but even that was nothing compared to the longest traffic jam in history. China is one of the biggest automotive markets in the world. That booming market has a downside to it too, however. It is estimated, that in 2015, there were no less than 7 million cars on the road in Beijing. Of course there are many more now. What’s more, nearly 14 million cars are purchased each year, while 650,000 vehicles meet the road every month. It’s like saying: “Hey, everybody in Beijing must have a car. No, make that two!.” The government has tried to stop residents from buying so many cars, but they haven’t had much luck with that. With all the cars on the road, traffic jams were inevitable. Nevertheless, I don’t think anyone could have predicted just how bad those traffic jams would become. 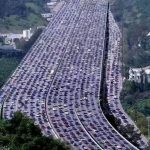 In August 2010, China was crowned the unofficial “host” of the mother of all traffic jams, with a huge car panorama that stretched for more than 62 miles and lasted for 12 days. I’m quite certain that no one could have expected this, now could the motorists be prepared with food and water. It all happened on the Beijing-Tibet Expressway near Beijing. The highway was initially designed to be used exclusively by trucks, but due to the growing number of vehicles, passenger cars started using it too. Ironically, the cause of the huge traffic jam was the road work on the highway. Trucks carrying construction supplies to Beijing, most of them supposed to be used on the expressway in order to ease traffic, were blocked at the exit, thus causing a traffic jam that lasted over 12 days. No clear statistics concerning the number of stranded drivers were given, but instead reports published on the web at that time claim that some of the cars advanced with a speed of 2 miles per day! That is shockingly slow!! People who could started to take advantage of the situation by selling food and water to drivers. The prices were extremely high and some of the drivers even refused to buy the supplies. That was not a good idea, because in those cases they were robbed or even stabbed. 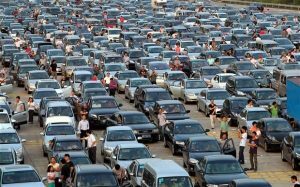 Twelve days in a traffic jam is a lot, that’s pretty clear, and even if some drivers already had bread and cigarettes as a method of precaution, everybody had to buy at least a cup of water. The prices were astronomical, and the whole situation was insane. 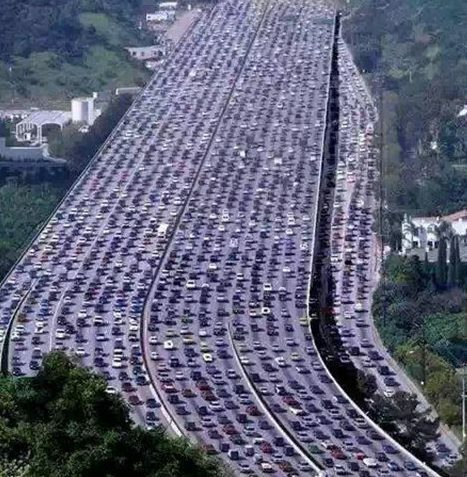 Strangely, authorities actually expected the traffic jam to last about a month. 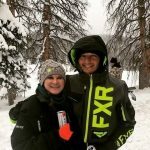 I guess 12 days wasn’t too bad after all. Surprisingly, according to the Guinness World of Records this isn’t the longest traffic jam in history. A previous episode that took place in France, spanning from Lyon to Paris, is regarded as the biggest jam ever. It stretched for 109 miles and happened on February 16, 1980. The reason, poor weather and the huge number of cars on the French Autoroute. Many people have gone on a journey to find themselves. I used to think that those were mostly the Hippies, but the reality is that while most of us don’t necessarily go anywhere, we are on a mind journey to find ourselves, because for whatever reason we aren’t happy with where we are, or our situation has changed, and now we need to re-define ourselves. 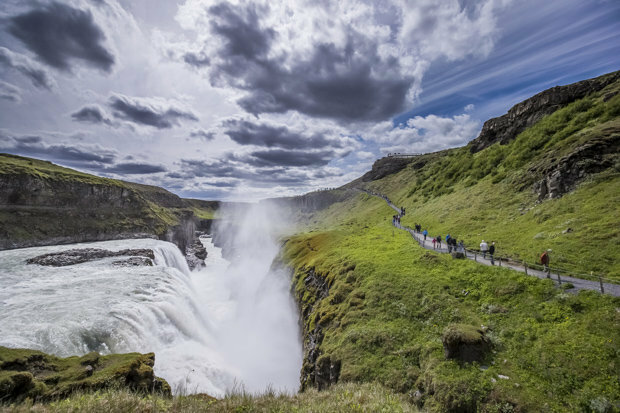 One woman went on a visit to Iceland in 2012, and somehow managed to put a totally new spin on the idea of finding herself. 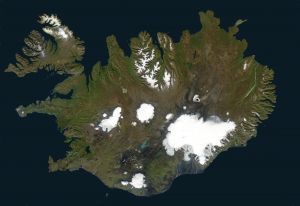 The woman, decided to take a tour of Iceland’s southern volcanic region. The tour was going well, and everyone was having a great time. After a stop, the tour company driver counted all the passengers on the tour, and found that one woman was missing. The tour driver waited for an hour for the woman to return, assuming that she was just a little delayed or lost track of time at the stop. Finally, he had no choice but to report her missing to the police. 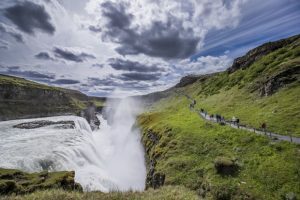 The missing woman was in Iceland’s southern volcanic region near the island’s Eidgja canyon, a remote but popular walking area for visiting tourists. The police set up search teams, which were dispatched to the area. They started combing the barren treeless hillsides looking for an Asian woman described as 5 foot 2 inches tall, and wearing dark clothing. The teams searched the area until 3am, when the search was finally called off. Oddly, it wasn’t called off because there was no hope of finding her, but because she was located…and, in the most bizarre way. It turns out that the woman wasn’t missing after all. She had decided to freshen up a bit, and in the process, she changed her clothes. 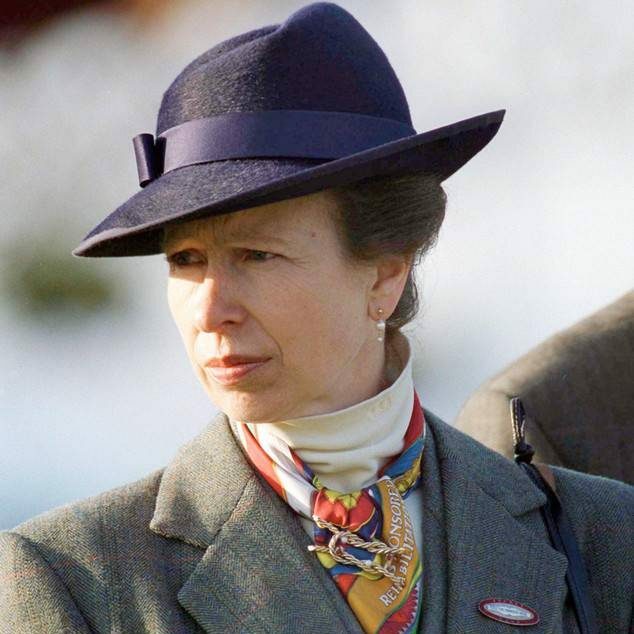 The people on the tour somehow didn’t recognize her with the different clothing, and since the woman’s name was not given, but rather, just a description of her, the woman had no idea that she had joined the search teams…in search of herself!! The minute it occurred to her that they were searching for her, she quickly informed the police that she was the woman who was the subject of their search. Sveinn Runarsson, the police chief in charge of the rescue, commented that “the people on the bus had not been counted correctly”. What a bizarre turn of events. Thankfully the woman was found, but the whole scenario would be quite hilarious, had everyone not been so concerned for her safety. I guess the moral of the story would be that in these situations, it might be a good idea to say the name of the subject of the search, so that if they happen to be there, they can tell you not to bother.